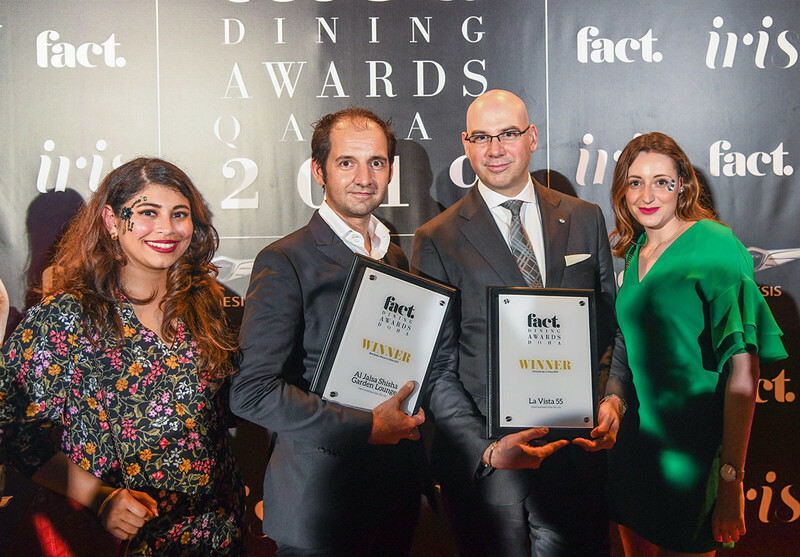 InterContinental Doha The City celebrates the success of winning two prestigious awards in the fifth FACT Qatar Dining Awards, held on 7 April 2019. The FACT Dining Awards recognises excellence in the food and beverage industry, with winners awarded based on both the public vote and critics’ opinion. Al Jalsa Garden Lounge grabbed the Best Shisha Lounge award for the second consecutive year in a row, proving to all that it is a firm favourite while recently opened Cuban Bar & Lounge La Vista 55 took home the Favourite Bar award for the first time, showing that it has quickly become a favourite with residents in Qatar. InterContinental Doha The City General Manager, Gilles Longuet would like to thank everyone, especially their loyal guests for making this happen. A fusion of the vibrant atmosphere and intricate flavours of vintage Havana, La Vista 55 bar and lounge brings a piece of Cuba to Doha featuring a lively ambience and dynamic interiors. Escape to the streets of Havana and watch the sunset and moon rise from the 55th or 56th floor, offering panoramic views of West Bay. Dine al fresco and relax in tranquil Al Jalsa Garden Lounge, a beautiful garden in the heart of the city. Choose from contemporary Syrian and Middle Eastern dishes, and enjoy your meal with your favourite flavour of Shisha from our extensive menu. The perfect Arabesque experience under the stars.